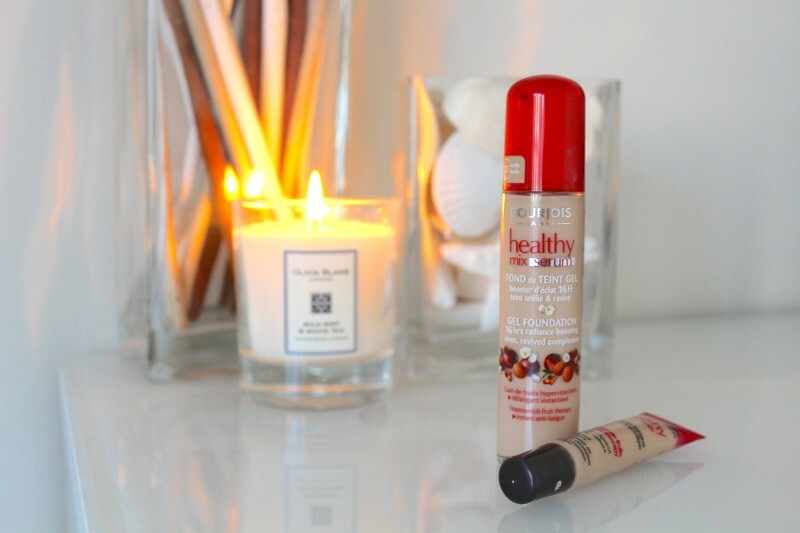 Bourjois Healthy Mix Foundation has always been a beauty blogger favourite; I’d never tried it myself, so decided to give it a go. I opted for the newer ‘serum gel’ version, as I’ve used gel foundations in the past and really liked them. I also bought Healthy Mix Correcting Concealer. There are six colours in the range and the best match I could find for my skin was ’52 vanilla’, this blended very well with my skin tone which I was impressed with, given the small shade choice. The formula is a very watery liquid, which is a lot less thick than other gel foundations I’ve used, such as MAC. Firstly, I tried applying the foundation with a brush, but I didn’t like the coverage; there was a lot of drag and the formula didn’t seem to blend very well. I then decided to use my fingertips, something I haven’t done for a long time, and the coverage was far better. The coverage is definitely buildable and I set this with a swipe of my MAC Select Sheer Pressed Powder in NC25. 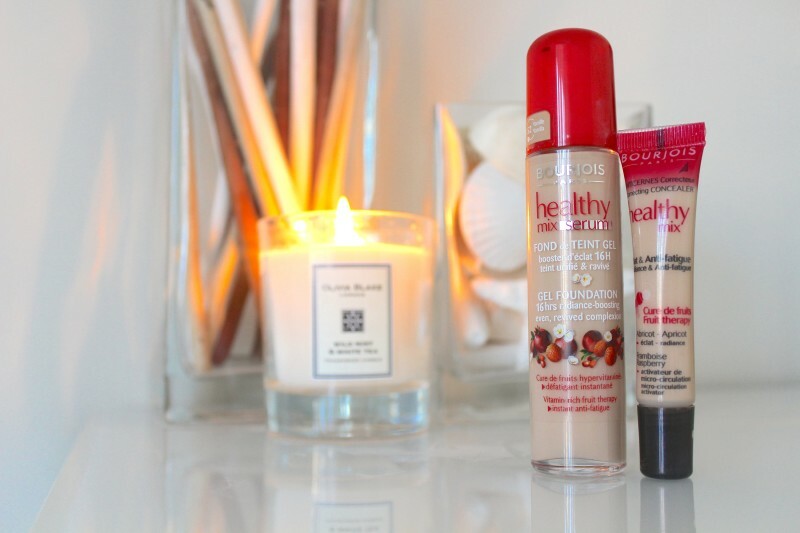 In comparison to other foundations, the Healthy Mix Serum did wear well; it hadn’t disappeared from my face after an 8 hour day. The packaging claims to provide 16 hours of radiance boosting power, but this definitely does not have that amount of longevity. After a few days of wearing this foundation, without changing anything else in my routine, I had 3 breakouts. I stopped using this foundation and went back to my Bare Minerals, and my skin soon cleared up. I really wanted to love this foundation, as so many beauty bloggers rave about it, but unfortunately, my skin just didn’t like it. Priced at £10.99 I didn’t feel too out of pocket so I’m glad I tried it. I also bought the concealer in the range, as I’m not impressed with my current concealer. I bought shade ’52 Medium’, which seemed a good match for my skin, as with the foundation. The concealer is pretty thick in consistency, which I really like, so I blend it in with a small brush to apply. Unfortunately the concealer does sink into the fine lines under my eyes, and I think it probably makes my eyes look ‘older’ than if I wasn’t wearing any concealer at all. This will definitely be a better concealer for covering blemishes, rather than for under eye dark circles. This is priced at £7.99, which is a lot cheaper than other concealers I’ve tried. I will definitely keep this in my makeup bag for blemishes, but I’m still on the search for something better for my dark circles. I really want to try this foundation to see if it’s worth the hype! It’s a pain it didn’t work for your skin! A concealer I’d recommend for under the eyes has to be Rimmel’s wake me up – I love it!